Beyond giving money, many state employees donate something equally important: their time. They make a difference by volunteering in their communities. Here are a few examples of how state employees are giving back. Click on any of these button to read about the wonderful work that state employees do when they are off the clock. 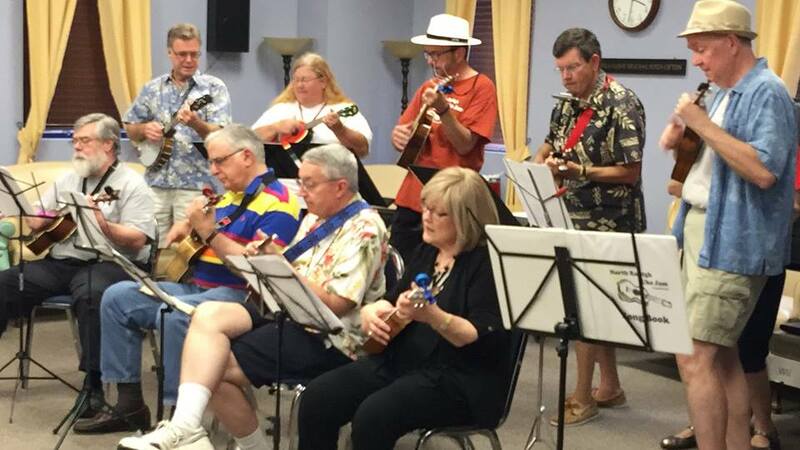 "My ukulele playing friends and I frequently perform at area nursing homes and similar facilities. Most patients there are reasonably spry but due to conditions like Alzheimer's disease cannot be left at home alone all day. They enjoy music from their youth -- mostly 1940s, 1950s, and early 1960s -- and often sing along. Sometimes a few even get up and dance. "We also are sometimes asked to play at events like luau parties at community recreation centers and neighborhood. I enjoy volunteering for these performances because our audiences are so appreciative and everyone -- including us -- has such a good time. It is a pleasure to bring joy to others. Music touches people; it's especially rewarding when a patient with dementia who has become somewhat remote begins to engage a bit, smiling or tapping a foot or sometimes even singing along." Since 1990, Ward has been on the board of directors for Wake Enterprises Inc. helping the nonprofit organization provide vocational and social opportunities for adults with intellectual and developmental disabilities. Since 2012, Ward has volunteered at Edenton Street United Methodist Church in Raleigh. Each week she coordinates and assists with transportation to ensure a family of seven from Congo gets to church on Sunday. Ward also began serving on the board of directors of AventWest Children’s Mentoring Program beginning in 2013. 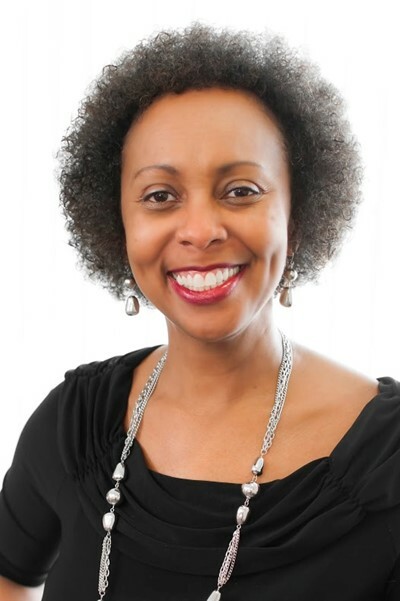 She helps oversee the program’s aftercare tutoring that supports students in grades 1-11 who are identified as needing both academic support and economic opportunity living in the AventWest community near N.C. State University. 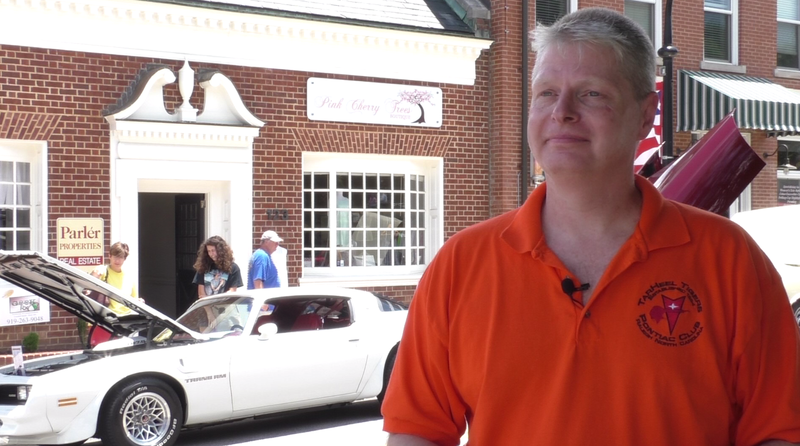 "About two to three times a month, my wife and I go to a couple of the regular car shows called Cars and Coffee. I have a 1978 Pontiac Trans Am that was passed on to me from my dad, so it has a lot of sentimental value. I’ve added a few modifications to it over the years to make it go faster. I enjoy taking it out to various car shows to raise money for different charities. "I volunteer a lot with NC Co-operative Extension, with 4-H, at my child's school and over at Somerset Place. My life is FILLED with volunteering when I am not at work. I also use my experience as a professional photographer to photograph events, such as 4-H Livestock shows, 4-H Fashion Shows, and Make a Wish giveaway to a local child. I also taught my Extension Community Association group to make flowers with paper for decorating the community building for the fashion show. I assist the 4-H leaders when needed, such as teaching children how to sew. 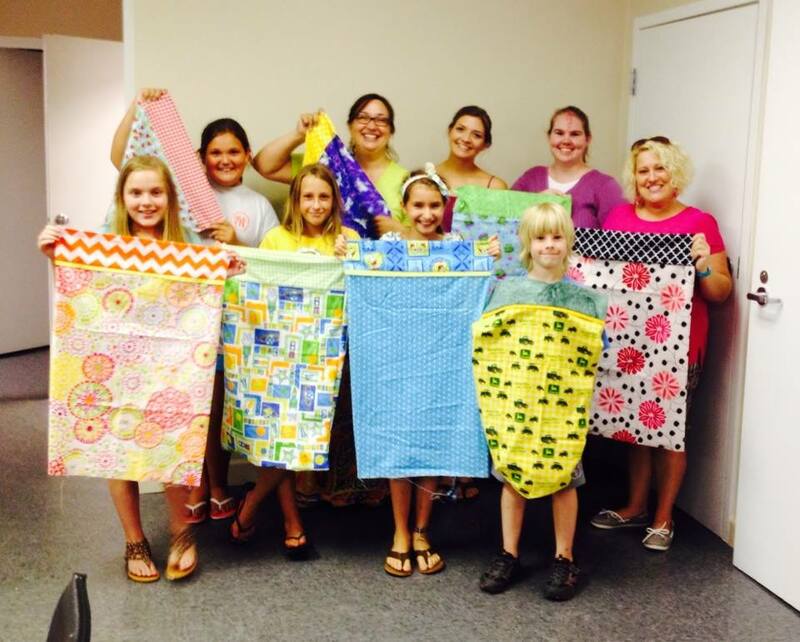 We’ve sewed pillowcases to donate to children who are in the hospital for an extended period of time. It makes them feel more at home. They get to keep the pillowcase when they leave. I have hand sewn costumes for our Spook Trail on my own time, handed out prize ribbons at Tyrrell Elementary School Field Day, and am in charge of a newly established gardening club for Somerset Place Historic Site. We volunteer our time and clean their flower beds and formal gardens because their staff isn't large enough to maintain it. I have also helped at their events by serving spiced tea and sweets at two Christmas open houses and helped at their grand re-opening of the Collins House last year. In 2012, I received the Governor's Award for Volunteer Service and am very proud of that honor!" "For the past 15 years, I have been volunteering for animal welfare causes to include humane societies, companion animal rescues, and currently a spay-neuter group. In 2006, I started a non-profit charitable organization, Beaufort Community Cat Project (BCCP) dedicated to humanely reducing the free-roaming cat population in eastern Carteret County. I have served as President of BCCP since its inception. The Beaufort Community Cat Project has funded thousands of free spay-neuter surgeries for free-roaming cats. Free-roaming cats are the biggest contributors to the local shelter intake and almost all of them are euthanized. A critical part of addressing this complex issue is sterilization and cat caretakers having access to low cost and/or free spay-neuter and vaccine services. We also educate caretakers and pet owners about being responsible stewards of companion animals. Since the inception of BCCP, we have been able to decrease shelter intake of cats from Beaufort; reduce the numbers of free-roaming cats in several localized areas; and educate thousands of people about the importance of sterilization in reducing the companion animal overpopulation problem. 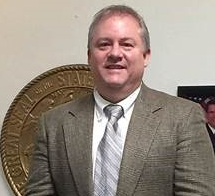 "In 2014, I became a Guardian ad Litem volunteer in District 3B of the State court system. I am the voice in court for abused and neglected children. This experience inspired me to integrate my love of sailing into building confidence in under-served and abused and neglected children. Last year, I was able to organize a sailing event where children, many of who had never sailed, enjoyed free sailboat rides with their friends. I hope to help expand that effort in the future. 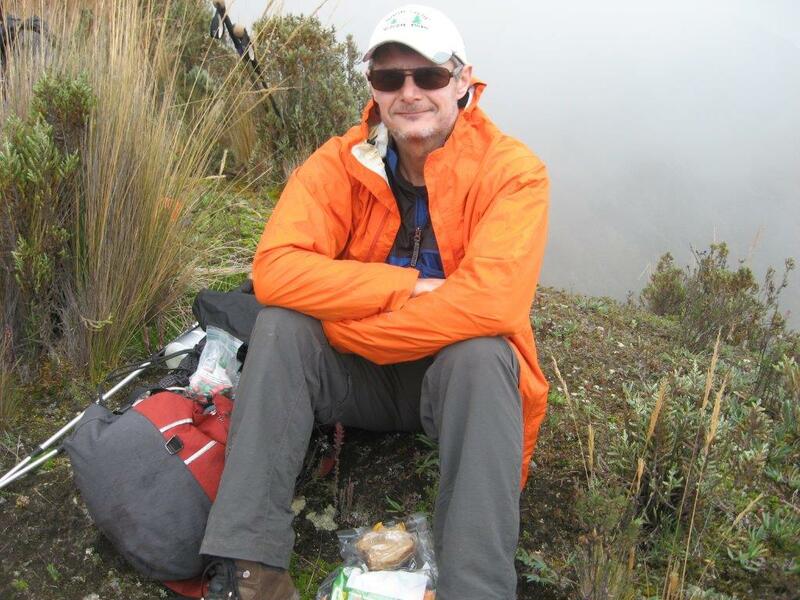 "Volunteering has helped to develop me as a person and adds so much richness to my life. And it’s so easy to exercise a passion into volunteering; I think everyone should!" "My wife and I lead the Ashe Youth Service Club. We do monthly service projects with the kids in our group. Most of the kids are elementary age. We work with a different community organization each month, and have partnered with groups such as the Ashe County Public Library, Habitat for Humanity, nursing homes, and many others. Modern Woodman of America funds our service club and allows us to get involved with the community in so many different ways." 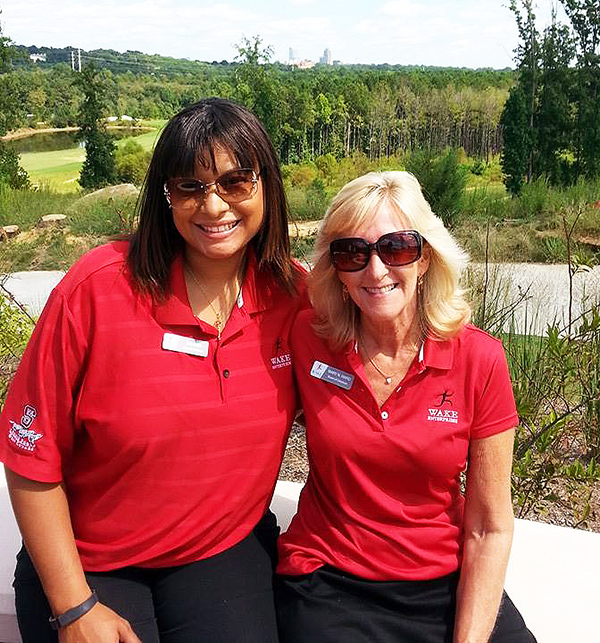 "There are two organizations that I have had the privilege of volunteering with: NC Water Works Operator’s Association – I currently serve on the Board of Examiners, instructor at the annual training schools and Chair for the So. Piedmont Section. NCWOA provides training opportunities for water system operators wishing to gain certification in the water treatment industry. "I’ve also been involved with NC AWWA WEA for several years and currently serve as the Committee Vice-Chair for Water For People. Water for People helps provide safe drinking water for developing world countries and offers in-country opportunities for volunteers through its World Water Corps. We are always looking for committee volunteers, and sponsors and participants for our fund raising events." "The non-profit organization that I volunteer with every year for the past four years since moving to North Carolina is Military Appreciation Day, Inc., a 501(c)3 organization consisting of a board of directors and several committee chairs who coordinate the events that are carried out by legions of volunteers. 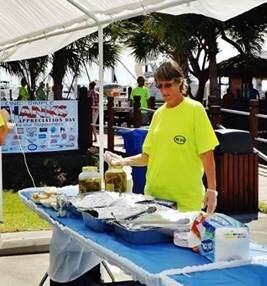 We are the largest, all-volunteer run, “Take Our Troops Fishing” event in the world! "This past September, we held a MAD event in Southport, where volunteers took active duty troops out for a full day of inshore and/or offshore fishing. For Active Duty Military, Guard, Reservists and their families, the entire day and all activities and services were free. At the end of the day the troops, their families and boat volunteers were treated to a huge southern-style cookout – which was also free. This was our day, given to ourselves, to serve those who serve our country and to thank them for what they do for America." "I have been donating blood to the Red Cross for 35 years. I estimate I have given about 50 gallons of blood!" His rationale for giving is simple: "It saves lives." For the past 12 years, Leslie Clothier has volunteered for the Special Olympics. “It takes maybe a few hours of your time a month to make a difference … I believe in giving time; it means more.” Clothier coaches for basketball, track and golf. She began as a teenager in Michigan before moving to North Carolina. Lee serves at the Durham Masonic Lodge #352. A member for 20 years, Lee has been Master. The Masons support the Masonic Home for Children in Oxford, the Eastern Star Home in Greensboro and local charities and events. The Lee Family is also involved in their community. Lee serves as a member of the executive board of the Bethesda Ruritan Club in Durham. The club supports local charities, including the Durham County Sheriff’s Office GREAT Program, the Boy Scouts & Girl Scouts, Special Olympics, local residents in need, an annual blood drive coordinated by Lee’s wife and daughters, and annually raises $20,000 for scholarships. Lee and his daughter also "took the plunge" at the Kerr Family YMCA Polar Plunge which was hosted by the N.C. Highway Patrol with proceeds benefiting the Speicial Olympics. 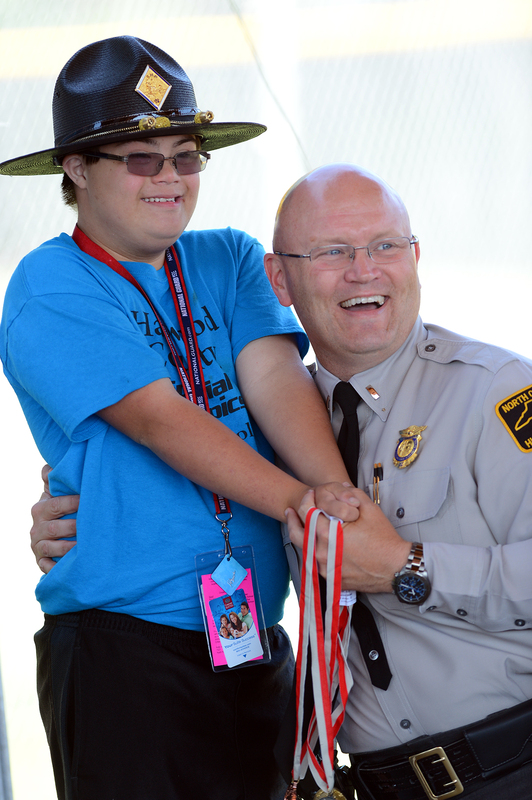 Additionally, Lee serves as the Special Olympics North Carolina Highway Patrol’s agency coordinator and serves on the State Executive Council. He has been involved since 1994 with the Law Enforcement Torch Run for Special Olympics North Carolina, which has generated more than $20 million for Special Olympics North Carolina since its inception in 1987. "I’m involved with the Alpha Kappa Alpha Sorority, Incorporated, Psi Sigma Omega Chapter. We partnered with Helping and Healing Hearts Incorporated for the Childhood Hunger Impact Day on October 16, 2015, one of many events that we participate in within the community. The sorority provided school-aged children backpacks filled with child-friendly food, snacks and seasonal items. The Psi Sigma Omega Chapter served the Johnston County community with 1,592 food items, 112 backpacks and 246 seasonal items. The children’s smiles and families’ expressions of gratitude made the project a very special day of giving. We also work with high schoolers within our service area through the ASCEND Program to help them build life skills such as self-awareness, communication and engagement, to help them transition from high school to college. "As a member of the Alpha Kappa Alpha Sorority, Incorporated, I believe in helping to improve social and economic conditions through community service programs. I live by the mantra from Galatians 6:9 'Let us not become weary in doing good, for at the proper time we will reap a harvest if we do not give up'." "Our family shares a passion for tennis. Both my wife and I play a few times a week in the local leagues. Our son is part of Stanford University’s Club Tennis team. Our youngest daughter was a competitive player and ranked #9 in the state at her highest, but now only plays recreationally for fun. 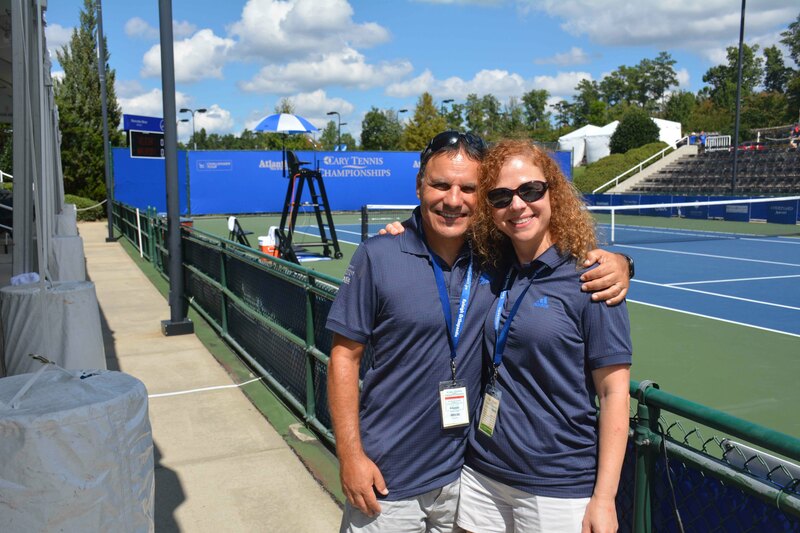 "This past September our family volunteered to help during the Cary Tennis Championships tournament. I volunteered for close to 30 hours as Court Ushers and Score Keeper over the weekend and a couple of evenings during the week. My wife volunteered at the Ticket Entrance and as Court Ushers for about 18 hours over the weekend. My daughter did close to 40 hours volunteering as a ball person. "When my son was in the School of Science and Math for two years, my wife and I volunteered for countless of weekends in various roles. We helped answered questions during Open Houses for prospective students and families, served as proctors during Discovery Days, and participated in Teacher Appreciation Days." "I have volunteered at the NC Correctional Institute for Women (NCCIW) since 2008. I serve as a Supervisor for the Mothers and Their Children Program (MATCH), observing visits between incarcerated women and their children (18 & below). Women in this program are allowed to visit with their children in a home-like setting. They can cook with/for them, play games, and interact with close contact. Women in the program must earn the privilege to participate and must remain infraction free to maintain their status in the program. Elizabeth Werner works as a hydrogeologist for the Department of Environmental Quality, Division of Solid Waste Management. 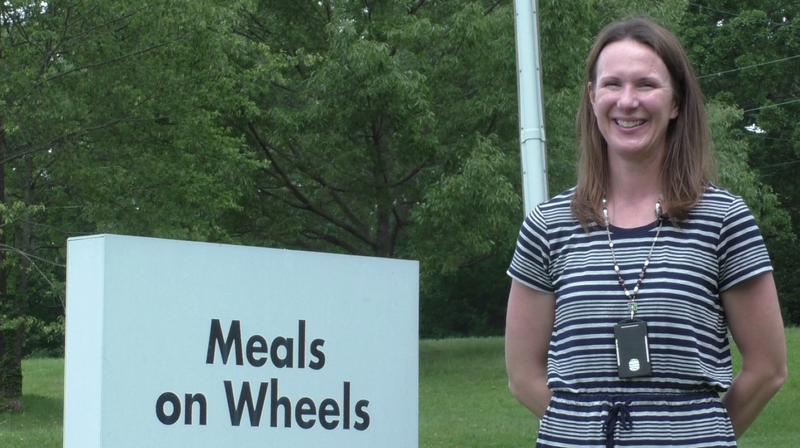 She delivers a hot meal during lunch several times a month through Meals on Wheels of Wake County. She has driven different routes in Raleigh to deliver food. Werner enjoys getting to know the seniors that she serves and hearing their stories. She’s also actively involved with the American Red Cross. Joel got involved with Alzheimer’s North Carolina after seeing the devastating effects the disease had on his father, who passed away in 2004. He wants to help other families impacted by the disease. Joel has been the entertainment chair for four years and has participated in 11 walks with the organization. 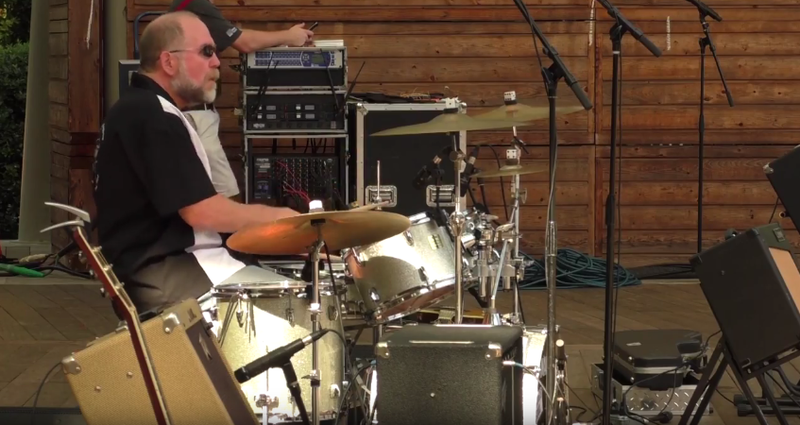 He also performs with his band “Vintage” at the walks to raise funds and awareness about alzheimer's in North Carolina.